Yeah, of course it's expensive. 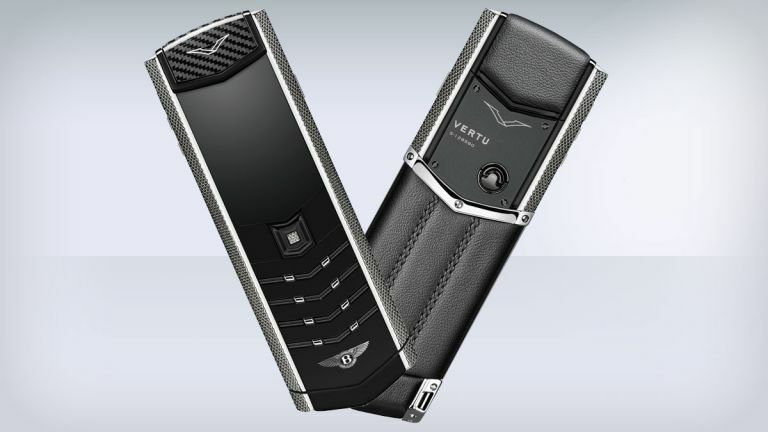 Vertu's new smartphone, the Signature for Bentley, is the second device to come from its partnership with the luxury car firm - and as you may expect it's not exactly easy to come by. Since its launch in 2002, Vertu's luxury Signature range has been gaining acclaim for its elegance and hand crafted build quality – making them some of the most sought after phones in the world, not to mention some of the most expensive too. The Signature for Bentley combines new materials and unique finishes and is inspired by the world famous Mulsanne Speed, arguably Bentley's finest achievement. This means it boasts a carbon fibre pillow that shares a similar carbon weave design pattern as on the Mulsanne Speed. It also has a polished stainless steel side and tactile knurled finishes that bring to mind the Bentley control knobs. Of course the phone case is embellished with a Bentley Flying B Titanium emblem as well. You can also customise your Vertu Signature for Bentley using the Vertu Made to Order online tool, which allows you to match your phone and case to your Bentley car leather and stitching or create something of your own design from 2,300 possible combinations. It's not just about the looks, either, as the Signature for Bentley proves to be an excellent smartphone as well with a focus on voice calls and high-quality sound reproduction with side-mounted speakers and enhanced with stereo widening software, ensure impressively rich and accurate sound. If you thought the £10,700 "Vertu for Bentley" handset was expensive, brace yourself, as the Signature starts at a rather eye watering £14,500. Vertu Signature for Bentley will be available for pre-order from June 25, but if you want to see it in the flesh it will be making its debut at the Goodwood Festival of Speed (June 25-28) and later on at Pebble Beach Concourse d'Elegance (August 16). Its official release date is slated for September 18.